Becoming a leader in the world of nursing takes dedication and perseverance. This year, three alumni of the Nell Hodgson Woodruff School of Nursing will be recognized with awards which are given annually by the Nurses' Alumni Association of the Nell Hodgson Woodruff School of Nursing. The recipients will accept their awards on Friday, Oct. 20 at Druid Hills Golf Club. Prior to accepting their awards the honorees will offer their expertise to current nursing students through an interactive panel discussion about their journey as nursing leaders. 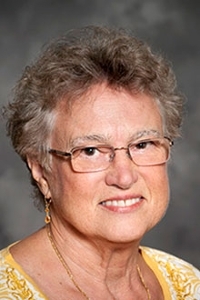 Marilyn Margolis, 89MN will receive the Distinguished Nursing Achievement Award, which is awarded to an alumnus whose career has demonstrated continuous and exemplary contributions to the profession of nursing and/or healthcare. Margolis has served as the chief executive officer of Emory Johns Creek Hospital since September 2014. She has extensive experience leading quality initiative teams throughout the Emory Healthcare system in areas such as Emergency Services and ICU at Emory University Hospital and Emory University Hospital Midtown. Margolis has also worked with teams to develop operational changes with patient flow and transfer services. She is a champion for patient and family centered care. Margolis is the recipient of the Nursing Management's Visionary Leader award in 2007 and the Georgia Hospital Association's 2013 Lifetime Achievement Award. 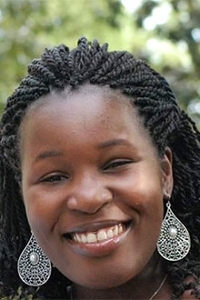 She also has completed post graduate work at Harvard Business School and the Woodruff Leadership Academy. 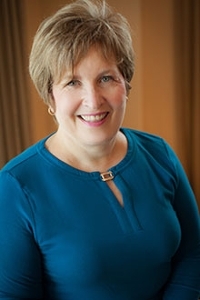 Linda L. Grabbe, 86MN will receive the Excellence in Nursing Award, which recognizes an alumnus who has demonstrated exceptional contributions to the profession of nursing and/or healthcare in research, education, clinical practice, management/leadership, public health or community service. Grabbe is a board-certified family nurse practitioner and psychiatric/mental health nurse practitioner. She also serves as a clinical assistant professor at Nell Hodgson Woodruff School of Nursing, where she teaches undergraduate psychiatric clinical education. Grabbe has devoted her entire nursing career to serving vulnerable populations, particularly homeless women, children, teens and young adults. Her dedication to underserved populations in Atlanta is remarkable. A nurse for 30 years, Grabbe has worked at Emory since 2005. Before she came to Emory, Grabbe worked all over the globe including hospitals, universities and organizations in Georgia, North Carolina, Washington, D.C., Hawaii and Massachusetts. Grabbe has served as a Peace Corps medical officer in Kazakhstan and as U.S. embassy nurse practitioner in West Africa. She is the 2016 recipient of the Emory School of Nursing Faculty Excellence Award for Social Responsibility. Ida Curtis, 14BSN 16MSN will receive the Recent Graduate Award, which recognizes a graduate of the last decade who has contributed exceptional service to the Nurses' Alumni Association, the School of Nursing, and/or to the profession of nursing. Curtis is currently an emergency nurse practitioner practicing as a family nurse practitioner for Peachtree Immediate Care in Acworth and with Apollo MD. Curtis is dedicated to ensuring all individuals are treated with respect and dignity. She has advanced programming to help reduce disparities and promote culturally-sensitive and quality care for the LGBTQ community and migrant farmworkers and continues to do so as an urgent care clinic provider. Curtis was recognized with the Nell Hodgson Woodruff School of Nursing Silver Bowl Award in 2014, the highest award bestowed upon a student and the Excellence in Social Responsibility Award in 2016. She is also a member of the Omarion Delta Kappa International Leadership Honor Society for the Emory chapter. She currently serves as a preceptor for Emory Family Nurse Practitioner and Emergency Nurse Practitioner students and continues to practice by the values of leadership, scholarship and social responsibility in the community. For more information about the alumni awards or how to get involved with the Nurses Alumni Association, please contact Kate Balconi, associate director of alumni relations at kate.balconi@emory.edu or 404-727-3348.